This week, we’re looking closer at the biotechnology sector, which covers quite a bit of ground. 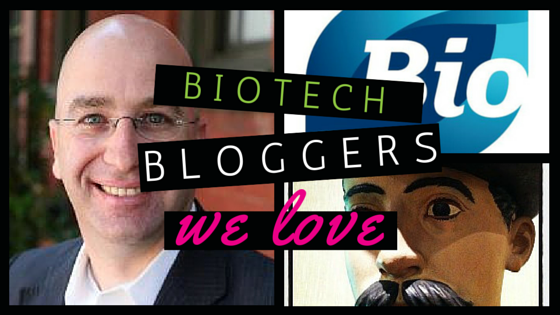 Also, this might be the first time we’ve covered biotech blogs. I like this blog because it’s informative and newsy. It features posts on health, agriculture, environmental and industrial, and public policy. Some posts that I found interesting include BIO World Congress Closes in Montreal – And Sets New Record and ALS Awareness Month: 10 Things You Should Know About ALS. Another informative piece was Creating Biotech Crops 101. TheStreet’s Adam Feuerstein is a senior columnist who covers biotech. According to his Twitter profile, Feuerstein is known as the “Col. Jessup of biotech/drug stocks.” You can find his work here. Before joining TheStreet, Feuerstein covered business software for Upside.com. As a former business journalist, I appreciate Feuerstein’s voice as a writer. Some of my favorite posts include Exelixis Scores Much-Needed Kidney Cancer Study Win to Boost Drug Sales, Previewing the Next Look at Biogen’s Alzheimer’s Drug, and Vertex Wins US Approval for New Cystic Fibrosis Drug. BiotechBlog is written by Yali Friedman, of Washington, DC. Friedman serves as the chief editor of the Journal of Commercial Biotechnology. This is a pretty fascinating site. Posts that caught my eye include The Paradox of Pharmaceutical Hyperconnectivity and Genomics: A Promising Investment Opportunity.